Seoul (AFP) - A South Korean man believed cured of Middle East Respiratory Syndrome (MERS) has been rediagnosed with the deadly virus, health officials said on Tuesday. The diagnosis deals a blow to Seoul's hopes of being declared free of a disease that has infected 186 people in South Korea, killing 36 of them, since its outbreak in May. World Health Organization standards call for a four-week waiting period after the last MERS patient fully recovers before an outbreak can be said definitively to be over. MERS is believed to have originated in camels in the Middle East. Its symptoms include fever, coughing and shortness of breath. The 35-year-old man was initially diagnosed in May, and released from hospital on October 3 after twice testing negative for the virus. But he was readmitted with a fever on Sunday and diagnosed with MERS Monday, the health ministry said in a statement. Officials said doctors detected virus genes in his system, but could not confirm whether it was a fresh case or if the previous infection had returned. Authorities scrambled to quarantine 61 people who had come into contact with the man, though experts said the chances of the disease having spread were small. "It is hard to say that the virus is alive and multiplying in the patient's body," Professor Kim Nam-Joong of Seoul National University told reporters. "There is little risk of the patient infecting others," he added. 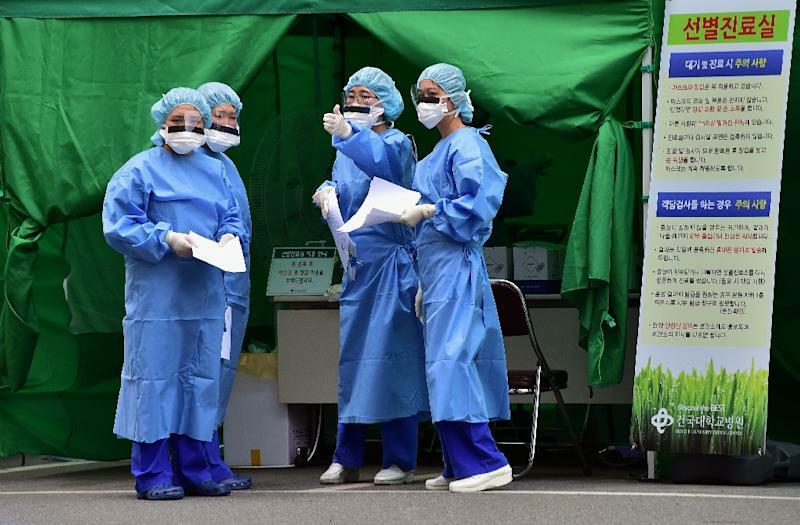 Before Monday's diagnosis, no new MERS cases or fatalities had been reported since July. The virus is considered a deadlier but less infectious cousin of Severe Acute Respiratory Syndrome (SARS), which killed hundreds of people when it appeared in Asia in 2003. Criticised for its initial response to the outbreak, South Korea introduced sweeping quarantine measures that saw nearly 17,000 people confined to their homes. Thousands of schools were closed at the peak of the outbreak, as anxious parents kept their children home. The outbreak took a heavy toll on the national economy, stifling consumer spending and devastating the tourist sector. Local businesses including shopping malls, restaurants and cinemas reported a sharp drop in sales as people shunned public venues with large crowds. John Cho Recalls 'Trauma' Of Immigrating To The U.S.